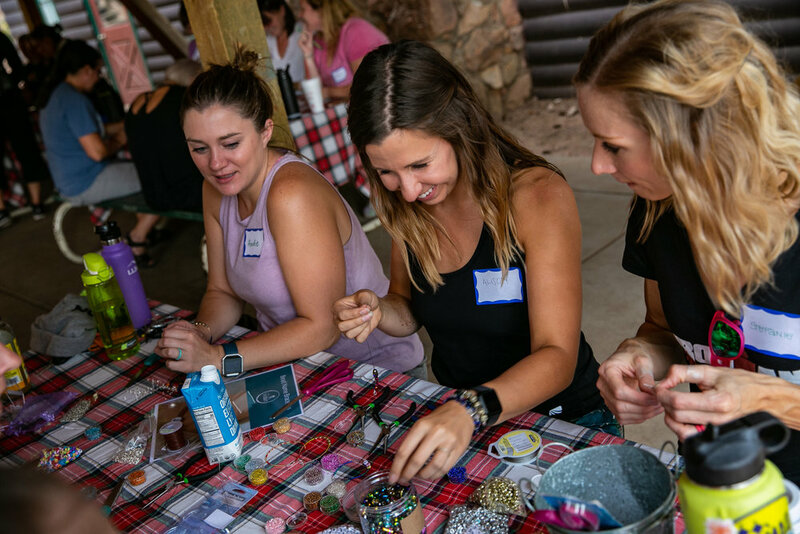 Over Labor Day 2018, Camp TimeOut and Girls Gone WOD Podcast® held a weekend sleepaway camp in Deckers, Colorado. Since Camp TimeOut HQ is Cape Cod, we'd gotten connected to nearby Boston-based NOBULL through a friend. After a couple of phone conversations, and a very generous offer, NOBULL gave us several codes for free trainers to give away to Camp TimeOut Colorado campers. 1. Best Craft - who knew this would be the ultimate battle? Blinged out walking sticks, paintings, gimp, and friendship bracelets. In the end, a painting of the mountains took home the prize! Many thanks to NOBULL for adding some friendly competition to the weekend! Here at Camp TimeOut, we love your products and hope to continue the partnership.